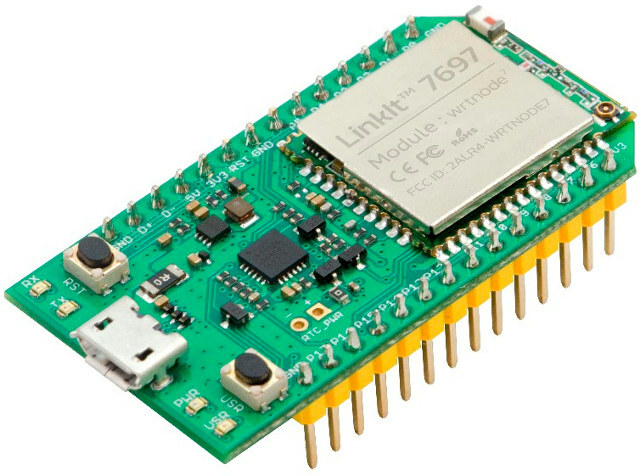 Mediatek Labs has launched a new IoT development, which on the surface looks similar to LinkIt Smart 7688 board, but the internal design is quite different as the MIPS processor and Linux OS, have been replaced by Mediatek MT7697 ARM Cortex-M4 processor running FreeRTOS, and beside WiFi, also includes support for Bluetooth 4.2 LE. The board can be programmed with the Arduino IDE, or if you need more control LinkIt SK for RTOS. The documentation is available on Mediatek Labs LinkIt MT7697 page. We’ll note that the board is based on Wrtnode7 module, also found in the upcoming 96Boards WRTnode IE board. 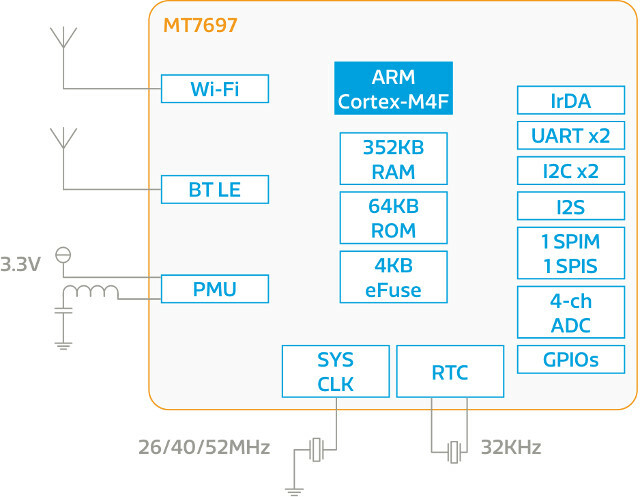 Mediatek MT7697 appears to competes directly with Espressif ESP32, and already comes with a 5GHz variant (MT7697D). If €13.5 to EU is really the best TRUE postage Seeed can do, if they made it avaible thru Aliexpress with the usual free Chinapost to most destinations then surely their sales would improve enormously ? 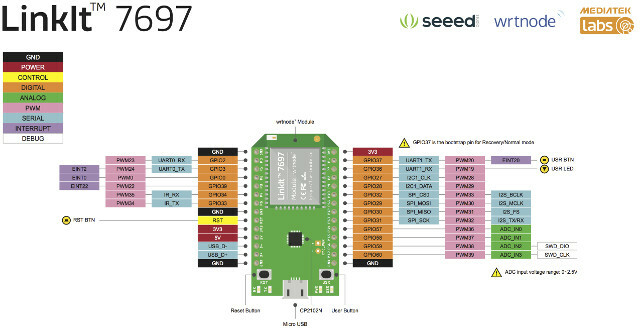 Does anyone know if this, or a similar board can connect in ‘Client mode’ to a Remote AP ? Who would buy this instead of the vastly superior and cheaper ESP32?